Birthday cards would have us believe that by age 60 or 65 we can’t see, hear, remember anything, or touch our knees (let alone our toes) without creaking. Tepid, ageist jokes about walkers and wheelchairs are plentiful. I received many of these “greetings” when I turned 65 last year. Just two weeks after my birthday, I fell and shattered my right arm, sprained my left arm, and herniated four disks in my neck, requiring spine surgery and fusion. Nearly immobilized from the waist up, I spent four months in a neck brace. Common household items were too awkward to grasp with my swollen hands, too difficult to rotate with my splinted arm, or too heavy to lift safely after spine surgery. There were things I could not do alone. My home of 30 years was not supporting me very well. Luckily, I have wonderful friends and family who helped. I recovered. And now I’d like to make my home more adaptable to whatever else might happen as I age. With unlimited money, I could design and pay for a fully accessible “smart home” remodel. I’d be ready for anything. Except I don’t have unlimited money. So I consulted experts: architects, contractors, realtors, AARP, and an occupational therapist. At least one level entry. Bedroom, kitchen, and full bath on the main floor. The bath should have an adequate turning radius for a walker/wheelchair and a no-threshold shower. Barry Long, the first disabled Americans with Disabilities Act real estate specialist in Washington State, says one of his goals is to help people stay in their current homes because it can be more cost effective to remodel rather than move. Long, an aging-in-place specialist with Sotheby’s International Realty, confirmed that there can be a stigma to listing a home for sale as “fully accessible.” In fact, there isn’t even an easy, consistent way to list the accessible features of a home on the Multiple Listing Service. Minty and Long are working to change that and are committed to educating brokers and consumers. The stigma is real: My mother refused to let us build a ramp up to her front porch, even though she used a wheelchair for her last seven years, because she didn’t want her home tagged as a “handicapped house.” Many folks think installing grab bars in the bathroom will give it a hospital/nursing-home air. 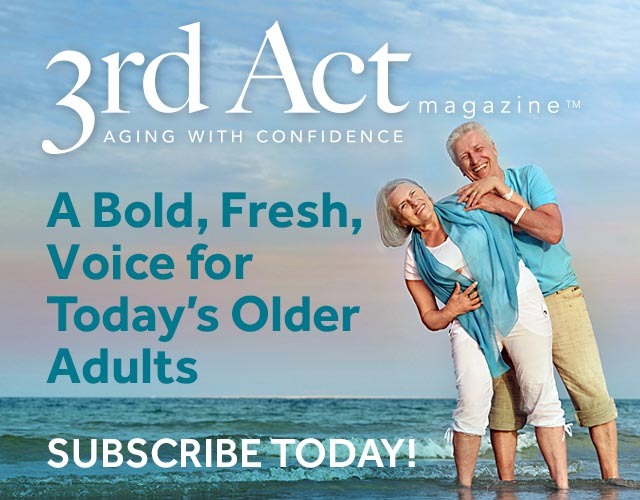 Yet when done right, adaptations can actually increase resale value, says Steve Wattenbarger of Wattenbarger Architects in Bellevue, who has designed over 14,000 apartment homes for older adults in 15 states. When he and his wife built their home to be wheelchair friendly, they intentionally incorporated design features to assist her mobility and to enhance the future value of their home. No-lip thresholds into the showers, attractive grab bars that match the towel racks, and railings on both sides of stairways are found in most fitness centers and high-end hotels. Everyone can use the facilities, and the accessible features are stunning, not stale. Minty suggests that by removing barriers for people of all ages and abilities, you increase your home’s “visit-ability” and make it more livable for you, too. This resonates with me: I regularly entertain several older adults who can’t navigate my front steps without a person on either side of them for support, since there are no railings at all. Smaller projects can be tackled one at a time, suggests occupational therapist Margo Traines. “Consider it as a spectrum, a process,” she says. “There might not be a reason to lower counters, widen doorways, or remodel a bathroom right now,” but gradually, you can address them all—ideally before you need to. John Barnett, a former president of AARP Washington, makes presentations on AARP’s HomeFit Guide, which shows scores of simple, inexpensive adaptations such as changing light switches to the rocker style with built-in night lights so you can see the switch in the dark. (This would have helped me.) Now I’m looking at lever-style handles on doors, rather than knobs that require wrist or shoulder rotation. I already have a single-handle faucet in the kitchen and I’m considering installing a touchless faucet in the bathroom. I’m thinking changes that could be tackled by a handyman or woman, rather than ones requiring a contractor. Many of us spend decades making our homes hospitable for ourselves and our guests. We love comfortable chairs, enough space to move around, and mood lighting. We fix the back steps and repurpose bedrooms after children move away. Yet few of us make our homes livable for aging well. In denial, we hope we’ll always be able to make it down to the basement to do laundry. I have several friends who have had knees or hips replaced or who have had a biking accident, and all can attest to the beauty of having a stackable washer dryer installed on the main floor, even if it means losing a closet. After climbing Mt. Kilimanjaro in 2015, I certainly never thought I’d fall in front of the dry cleaners two years later and break myself into so many pieces. I don’t want to be a prisoner in my own home ever again. I’ll make sensible changes so I, and my friends of all ages and abilities, can enjoy my home now and for years to come. Dori Gillam is a speaker and writer on positive aging. She’s worked for Sound Generations (a local non-profit serving older adults), and AARP. She currently facilitates Wisdom Cafes throughout King County, WA, is a hospice volunteer, and member of the Seattle Age Friendly Task Force. Switch to rocker-style “push” wall switches instead of “flip” switches. Consider getting lit switches to help you see them at night. Lever handles (instead of round doorknobs) are so easy to open your dog can do it—and they sure come in handy when your hands are full. Install single lever, touch, or sensor style faucets instead of round turn handles or knobs in kitchen and bathrooms. Install grab bars to a solid wall surface. They are sturdy and can be decorative too. Add railings to both sides of staircases. Change your stationary showerhead to an adjustable one that can be used standing or seated. Great article! Thank you for writing it and showing people that it is possible to age in place.